Jerry Gilbert was born in 1941 and sadly passed away in 2017. He graduated from the University of Dublin with a first class honors Moderatorship in Mathematics in 1964 and joined the British Petroleum Co.’s Research Center as a reservoir engineer. After experience as a petroleum engineer in Libya, the US, Kuwait and Abu Dhabi he spent most of the 1970s in Khuzestan (Iran) seconded by BP to ‘Oil Service Company of Iran’, a consortium of international oil companies, initially as a lead reservoir engineer and later as Capital Planning Manager. His responsibilities included performance evaluation and development optimization of fields as old as MiS (the first-discovered Iranian oilfield, in 1908) and as large as Ahwaz (over 55 billion barrels in-place) and participating in the training and development of Iranian engineers. Subsequently, based in Aberdeen from 1979, he was responsible as Manager Petroleum Engineering for all of BP Exporation’s petroleum and reservoir engineering activities in the UK North Sea and on-shore UK before transferring in 1986 to BP Alaska Exploration in San Francisco as Vice President (Production). There, in addition to representing his company on the Owner’s Committees for the very large Prudhoe Bay and Kuparuk fields, he was responsible for development projects onshore and offshore California. After a period in Dorset, England as Deputy Director for the development of Europe’s largest onshore field, at Wytch Farm in southern England, he became BP’s Chief Petroleum Engineer in 1989. In this London-based post he had responsibility for the integrity of the petroleum engineering function in BP’s operations worldwide, involving over 700 professional engineers, and for a very significant supporting R. and D. program. From 1995 to end 2000 he was based in Anchorage with BP (Alaska) Exploration Inc. and occupied a series of senior management posts in special projects while acting as an advisor to the company President. These projects included taking lead roles in State-imposed equity negotiations for Prudhoe Bay field, dealing with a major criminal environmental investigation by the US Government and reacting to the reputational and operational impacts of a complaint to the US Congress by a well-connected industry opponent. During this period, in 1998, he participated in and helped organize a visit by a BP technical team to Ahwaz to meet with and discuss problems of mutual interest with NIOC petroleum engineering experts. Since retiring from BP in early 2001 he has been working as a consultant and is managing director of Barrelmore Ltd. Among other activities he has worked on detailed reserves audits and US SEC presentations for a ‘super-major’, and has helped a major operating company defend itself against charges of poor operating and maintenance procedures. Currently he teaches reservoir engineering in Europe, the Middle East and Asia; he is also acting as a technical advisor to a company planning a major offshore CO2 sequestration project. He frequently is called upon by RTE, Ireland’s national broadcasting company, to comment on oil-related news items. He has been actively involved throughout his career with industry groups such as the Society of Petroleum Engineers (where he was Chairman of the London Section and for six years a member, and laterally Chairman, of the Society’s Reservoir Engineering Committee responsible for the selection of papers for presentation at the Society’s prestigious Fall Conference), the Institute of Petroleum, and the Institute of Mining and Metallurgy (where he was Chairman of the Petroleum Section). He has served on Industry Advisory Boards at University of Alaska, Imperial College London, and Heriot-Watt University Edinburgh. He has served as an external examiner for M.Eng. candidates at Heriot-Watt University and at Robert Gordon’s University, Aberdeen. 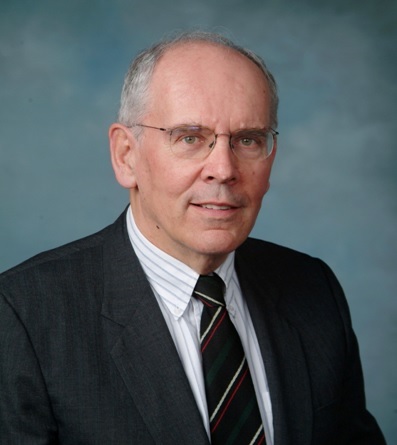 During the period from 2001 to 2010 he provided reservoir engineering advice to the Association for the Study of Peak Oil (ASPO) and was a member of the Board of ASPO Ireland. He has been married since 1981 to Diana; between them they have four children and nine grandchildren. He and Diana live in West Cork, Ireland but travel extensively. He is a keen sailor and hiker, maintains a large garden and is an energetic skier each spring in the high Rocky Mountains of Colorado. He has been Chairman of the company organizing the renowned annual West Cork Chamber Music Festival. In 2004 he opened, and for some years ran successfully, a bookshop in Schull, a small town near his home.